Israeli police said two Palestinian suspects stormed into a Jerusalem synagogue with guns, knifes, and axes and attacked worshippers. At least eight people were injured and officers shot and killed the assailants. BuzzFeed News' Sheera Frenkel is on the scene in Jerusalem. The bodies of three of the victims during their funeral near the scene of the attack on Tuesday. JERUSALEM — Two Palestinian men armed with cleavers and a gun stormed a synagogue in Jerusalem during morning prayers on Tuesday, killing four worshippers and a police officer, and injuring at least eight in the deadliest attack on the city in years. 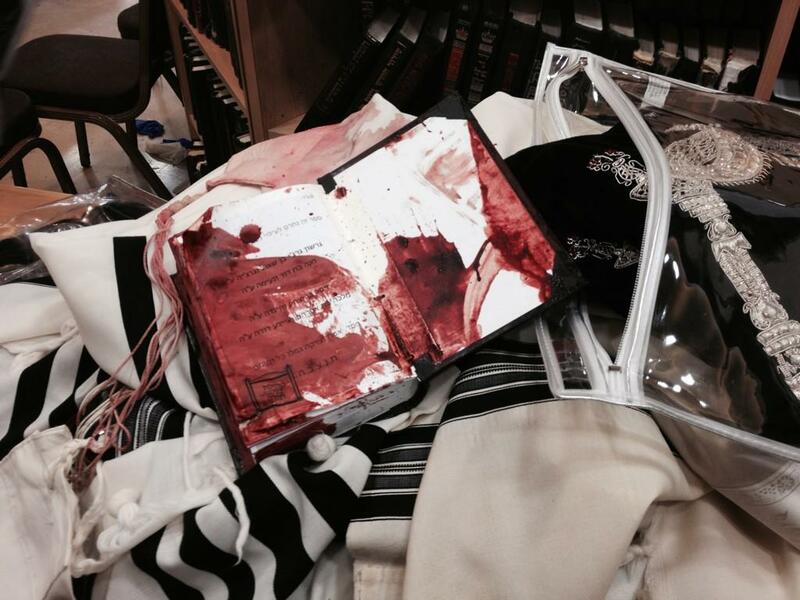 Four victims were rabbis, the fifth a police officer. Mosheh Twersky, Aryeh Kupinsky, and Cary William Levine all have joint U.S.–Israeli citizenship, U.S. State Department spokesperson Jen Psaki said. Twersky is a native of Boston. The fourth victim, Avraham Goldberg, had joint U.K–Israeli citizenship, police said. The police officer has been identified as Zidan Saif, a 30-year-old who was seriously wounded early on Tuesday and later succumbed to his wounds. One Canadian was wounded, a spokesman for the Foreign Affairs Department said. The police spokesman said that Ghassan and Oday Abu Jamal, cousins from East Jerusalem, had been identified as the men behind the attack. They were killed in a shoot-out with officers, police spokesperson Luba Samri told the Associated Press. Neighbors told The Associated Press that 14 members of the Abu Jamal family were arrested. Israeli Prime Minister Benjamin Netanyahu ordered the demolition of the homes of both attackers, the AP reported. In a statement to BuzzFeed News, the FBI said,"We are aware of the situation and are working in close collaboration and cooperation with the appropriate Israeli allies and partners." The synagogue assault, which police described as a "terrorist attack," took place in the Har Nof neighborhood and comes amid a wave of violence in Jerusalem that some have called a third intifada, or Palestinian uprising. The BBC reported that the Abu Ali Mustafa Brigades, the military wing of the Popular Front for the Liberation of Palestine, have claimed responsibility for the attack. Netanyahu vowed to "respond with a heavy hand to the brutal murder of Jews who came to pray and were met by reprehensible murderers," according to a statement. Netanyahu blamed Hamas and Palestinian leader Mahmoud Abbas for "incitement" of the attack and said the international community was "irresponsibly ignoring" the situation. Israeli Foreign Media Police Chief Micky Rosenfeld said that the attack happened at 7:01 a.m. and that they "took advantage of the fact that they had work permits and could freely go around Jerusalem." "We are looking to see if they were affiliated with Islamic Jihad or Hamas, those two terror groups. Most of the previous attacks have been committed by lone terrorists," he added. The New York Police Department issued an advisory stating it has increased attention to synagogues and other symbolic locations in the city. The NYPD said it is working with the FBI Joint Terrorism Task Force to monitor developments. Video purportedly showing police officers in a shoot-out with the attackers outside the synagogue. Earlier, a statement from Hamas spokesperson Sami Abu Zuhri on Facebook said the attack was carried out as revenge for the death of a Palestinian bus driver. The 32-year-old driver, Yousef el-Ramoni, was found hanged inside his vehicle at a depot late on Sunday. Israeli police said Monday the death of the bus driver was suicide and there were no signs of "violence" on the body. "According to an initial investigation, it appears there is no suspicion of criminal activity — in other words, a suicide," Samri said. BuzzFeed News' correspondent in the region reports that police have set up checkpoints at the entrance to Jerusalem and around the community of Har Nof, where the attack took place. At the scene, a large crowd had gathered and chanted "death to Arabs" and "revenge" as police forensic teams examined the synagogue. Rachel Miriam Avniel, a resident of Har Nof and mother of six, said, "This synagogue was at the heart of our community. The people inside were innocent, at prayer. May God punish those behind these attacks." Police have closed off large swathes of East Jerusalem in fear of riots, and many people are keeping their children home from school out of fear of revenge attacks. Families of those who were injured in the attack have been standing vigil outside a Jerusalem hospital. Israeli emergency services carry the body of a Palestinian assailant who was shot dead while attacking the synagogue on Nov. 18. Israeli security personnel run next to a synagogue where the attack took place, in Jerusalem on Nov. 18. I strongly condemn today's terrorist attack on worshipers at a synagogue in Jerusalem, which killed four innocent people, including U.S. citizens Aryeh Kupinsky, Cary William Levine, and Mosheh Twersky, and injured several more. There is and can be no justification for such attacks against innocent civilians. The thoughts and prayers of the American people are with the victims and families of all those who were killed and injured in this horrific attack and in other recent violence. At this sensitive moment in Jerusalem, it is all the more important for Israeli and Palestinian leaders and ordinary citizens to work cooperatively together to lower tensions, reject violence, and seek a path forward towards peace. 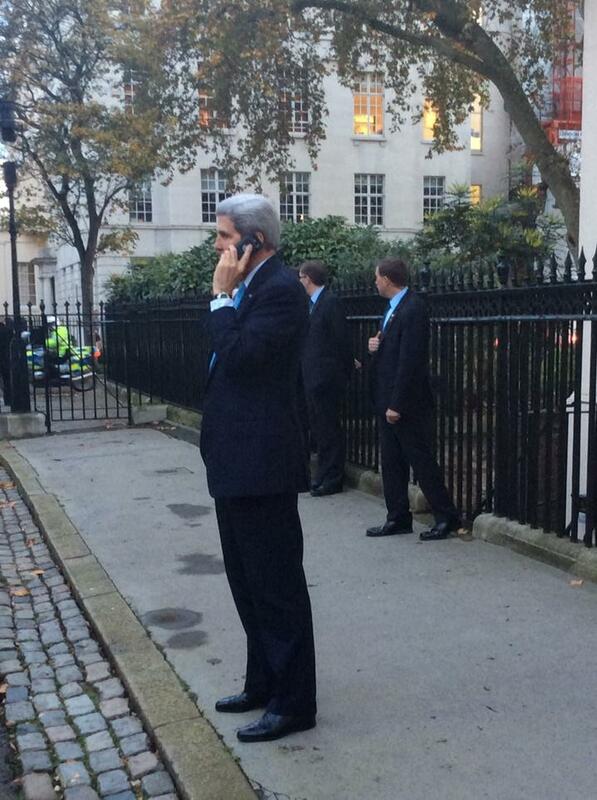 U.S. Secretary of State John Kerry has called Netanyahu to offer his condolences. Speaking on a visit to London, Kerry called the attack "an act of pure terror" that has "no place in human behavior," and called on Palestinian leaders to condemn it. Palestinian President Mahmoud Abbas did condemn the attack a short while after Kerry's comments, but called for an end to what he called "provocations" by Israel surrounding the Temple Mount/Haram al-Sharif holy site. In a statement, Abbas' office said: "The presidency condemns the attack on Jewish worshippers in one of their places of prayer in West Jerusalem and condemns the killing of civilians no matter who is doing it." This post has been updated to reflect the U.S. State Department's name spellings of the three American victims. The earlier spellings were those used by police officials in Jerusalem. What Makes Someone Become A Lone-Wolf Killer?